Sometimes I have to think a bit about a subject for the blog posting. Sometimes I feel I want to share some research I've discovered. Sometimes I've been known to rant a bit, or sort out my own feelings and thoughts by writing. Sometimes an event in the world catches my attention as subject matter. Sometimes I get stuck and just can't find anything to write about. On a few occasions, an idea just seems to leap out at me and no matter how I try to turn my head and look the other way- it's there. Today is one of those days. First it was the wild violets. Everywhere I looked, and even where I tried not to look (like while picking up the garage from the busted open bag some animal had dug in before the truck came for pick-up) there were little purple flowers. A few different varieties of violets I think because they aren't all the same, but they are all distinct colors of purple. So... according to Melvin Moon, http://pixiedusthealing.blogspot.ca/2011/04/chakras-colors-and-lost-balloons.html that much purple is kind of third eye, intuition calling. I ignored it. In my part of the world right now, the moon is still very bright and seems to want some attention. According to my We'Moon 2012 book, we are entering a Waning Half Moon in Aquarius Phase. It actually happens tomorrow. I typed in a search on my own blog to see if I've written about this before and sure enough, right around last year I was writing about the Waning Moon and how it's linked to the Sixth Chakra. http://pixiedusthealing.blogspot.ca/2011/05/waning-moon-and-sixth-chakra.html I found some typos and grammar mistakes in that old posting, but I also connected with the continuing theme of "letting go". I wrote about the need to connect with your intuition so you could really find your path and then let go of what other people might think. I talked about the benefits of the Bach flower Walnut to help protect you through changing times as you adjust and align yourself to your third eye. Hmm... At that point I got up and made myself a coffee. I pretend that it helps me think. What it really does is provide some distraction and fuels procrastination. After all, maybe there will be an easier subject to write about lurking by the coffee machine. There wasn't. When I came back to my office a book had jumped off my shelf. I mean, it really took a grand leap. It didn't just fall over. It had flung itself to the middle of the room almost. I didn't hear it fall. No one else was in there. The window wasn't even opened. I haven't seen this book for months. In fact, I didn't really know where it was. It fell face down but I recognize it from the back. It's "The Violet Flame". I've written about it before. 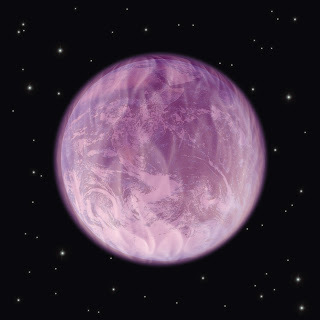 http://pixiedusthealing.blogspot.ca/2011/05/waning-moon-and-sixth-chakra.html Like the Bach Flower Walnut, the Violet Flame provides protection and a healing connection. I am trying to ignore the book and it's magical leap. I'm somewhat afraid to pick it up and turn it over. Maybe the leprechaun that launched it from the shelf will bite me? Assuming this is a message for more people than just me, I'm going to have to figure that now is a good time to let go of the need to analyze, pick apart and think. In other words, a time to let go of the need to control and a good time to connect with a higher power, your higher self, your intuition and source of power. It's a time to feel our way through issues and problems, one feeling at a time. Vagus Nerve stuff again http://pixiedusthealing.blogspot.ca/2012/02/vagus-nerve-and-7-chakras.html Maybe one layer of feeling at a time. You don't really "do" this. You "allow" this to happen. You stop resisting and putting up walls. You stop burying yourself in projects and problems, issues and intellect. The Violet Flame, helps you to release all that clutter that gets twisted into problems. That includes psychological problems from childhood or beyond that interfere with healing and establish deep grooves and heavy negative emotions. It is said to transmute negative energy from any and all sources into positve flow. Elizabeth Clare Propet, in "Violet Flame", ( the book that is laying face down on my floor) wrote that this healing power helps us prepare to enter a new age; one of peace, freedom, and enlightenment. It just so happens to be; the age of Aquarius. I think that it feels right to pick that book up off the floor and read it cover to cover under the light of a Wanning Half Moon in Aquarius.